“Dementia ” describes a group of symptoms caused by disorders that affect the brain. These symptoms can include memory loss, problems with thinking, behavioural changes, mood changes and communication difficulties. Symptoms can become severe enough to affect a person’s ability to perform everyday activities. Memory loss is not uncommon as people age, but dementia is not a normal part of the aging process, and symptoms should not be ignored. Dementia has many forms, such as Alzheimer’s disease, strokes, head trauma, Lewy Body disease, fronto-temporal dementia and Parkinson’s disease. More than 550,000 Canadians live with dementia, and that number will grow to 937,000 in the next 15 years, according to the Alzheimer Society of Canada. Recognizing the increasing need for support, Bayshore HealthCare has launched new initiatives to improve home support for Canadians with dementia. Bayshore is the first home care company in Canada to train more than 400 of its caregivers and managers to work with dementia patients. In October 2016, Bayshore partnered with Personalized Dementia Solutions to offer an online certificate course, Cracking the Dementia Code™. 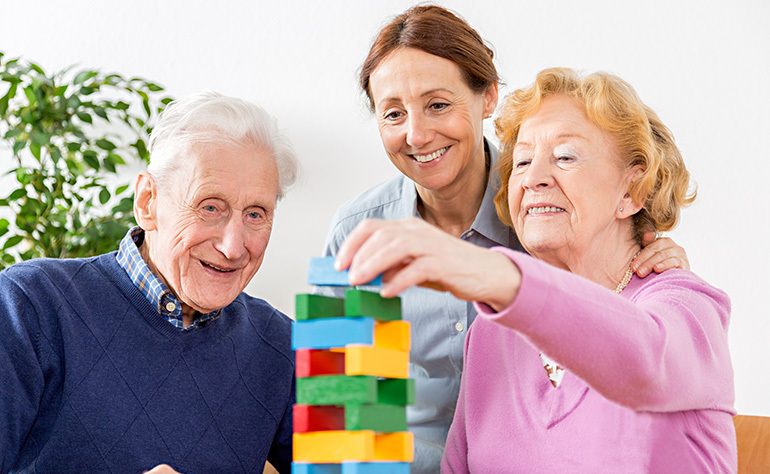 The self-paced course includes guidelines on effective methods to manage dementia-related behaviours and therapeutic communication techniques for day-to-day support. Bayshore caregivers spend 12 hours per day, five days per week, providing companionship, personal care, housekeeping and meal preparation to clients suffering from dementia. Bayshore has also partnered with Dementia Friends Canada, an organization created by the Government of Canada and the Alzheimer Society of Canada to raise awareness about dementia. Details are on Bayshore’s website, and the company will be sharing content from Dementia Friends Canada via social media. Bayshore is also publishing its own dementia-related blog online (visit bayshore.ca/blog and click “Dementia Solutions”), and hold monthly Q&As which will address questions from the public. As with other types of health conditions, Bayshore’s care plans are tailored for each individual living with dementia, says Naik. Bayshore also strives to match clients with the best-fit caregiver. This is an important component of dementia care.